Below is a sampling of jury verdicts and settlements in cases where the plaintiff suffered a broken leg around the country. These verdicts might give you a better lens to the value of your case. How did we compile this list? We generated this list from a variety of sources, including our law firm's settlements and verdicts. Keep in mind there is not any scientific methodology to this sampling, and these are not necessarily reflective of the value of your claim against a State Farm insured. We have turned a blind eye to some defense verdicts and other verdicts that we did not find particularly compelling. More importantly, there are clearly too many variables at play when looking at the value of a car accident case to fit in a summary of the case. 2016, Maryland, $375,000. Plaintiff, a 37-year-old immigrant babysitter, is hit in an "unmarked" crosswalk on Georgia Avenue in Montgomery County. She is transported to a Marisa suffered left displaced tibia and fibula fractures which was repaired with hardware and a left ankle fracture which was also repaired with hardware. She has a 5-inch surgical scar down the center of her knee was well as a one-inch scar on her ankle. A one-inch scar on her forehead from a cut has healed so as to be almost invisible. The knee scar is quite noticeable. The ankle scar is visible but is not easily noticed because of its location. Defendant vigorously contested liability claiming the plaintiff just walked out in the middle of the road. The defendant had a $500,000 insurance policy with Amica. 2016, Washington, $ 1 Million Settlement. Plaintiff, a 60-year-old real estate agent driving a Smart Car, hit an overturned dump truck in the middle of the roadway. The gist of the claim was that the overturned truck never provide any flares or other warnings to motorist coming down the road. Bizarrely, a neighbor who witnessed the accident claimed Plaintiff was speeding and that the tail lights were illuminated so that he could avoid the crash. The man fractured his tibia and contracted MRSA. To put this $1 million settlement in context, the man had over $425,000 in medical bills. So it is hard to call this settlement a home run. Compare to our $1 million verdict below where our client had less than $25,000 in medical bills. It is fair to assume this case settled for less because of the concerns the Plaintiff and his attorneys had about liability. 2015, Maryland: $560,000 Settlement. 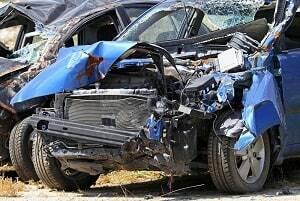 A 27-year-old St. Mary’s County male plaintiff with moderate cognitive and behavior problems due to a previous brain injury suffered a serious leg fracture necessitating multiple orthopedic surgeries after he drove a car across a center line and head-on into an on-coming vehicle. A lawsuit was brought in Calvert County against the southern Maryland organization and its employee responsible for providing adult day care supervision for the plaintiff. Rigorous investigation during the discovery phase of the case revealed evidence that the organization had allowed the plaintiff to “fall through the cracks” of its internal procedures and protocols so that the employee supervising the plaintiff was untrained and uninformed of the extent of the plaintiff’s mental challenges. The oblivious employee allowed the plaintiff to drive a car to the store, and the plaintiff caused the head-on collision. The organization defended the case vigorously and asserted that the Plaintiff’s negligence was the proximate cause of his injuries. A $325,000 settlement offer was made during a day-long mediation session and was rejected. Ultimately, the case settled for $560,000 as it approached trial. Miller & Zois handled this case. 2014, Maryland: $820,000 Settlement. Our client, a 50-year-old technician, is struck by the at-fault who crossed over the median into oncoming traffic. The man is airlifted to Maryland Shock Trauma then went to Kernan. This case settled with Zurich before a lawsuit was filed. Miller & Zois handled this case. 2012, Maryland: $425,000 Settlement. Our client, a 55-year-old truck driver is driving home from work in Baltimore County and is cut off by a USAA insured vehicle making a left turn. He suffered two broken legs and a concussion. This Miller & Zois claim settled after protracted litigation. 2012, California: $60,000 Settlement. A plaintiff is riding his motorcycle when he runs over a pothole in the middle of the road. He is thrown from the bike and breaks his leg in four places, requiring two surgeries and causing a permanent limp. Plaintiff contends the county failed to adequately maintain the road, noting that the last inspection occurred three weeks before the accident. The defendant claims the accident was the result of the plaintiff’s inexperience driving the motorcycle and that the pothole did not exist at the earlier inspection. Eventually, the County settled with the plaintiff for $60,000. 2012, Texas: $3,700,942.72 Verdict. The plaintiff works as an airport baggage handler and is driving an electric tow tractor when one of the defendant’s employees swerves in front of him. The plaintiff narrowly avoids colliding with the truck but slams into a parked luggage cart. The impact breaks his leg that required immediate and several subsequent surgeries. The plaintiff claims the defendant’s employer is liable under the respondeat superior doctrine and sues for medical expenses, pain and suffering, physical impairment, mental anguish, and loss of earning capacity. A Dallas County jury agrees with the plaintiff’s allegations and awards the injured $3,700,942.72. 2012, Texas: $619,348.07 Verdict. The plaintiff and his passage are riding on a motorcycle when the defendant suddenly stops his vehicles in front of him. The plaintiff swerves his motorcycle to the left to avoid a collision but is struck when the defendant turns left as the motorcyclist passed. The plaintiff suffers a broken leg, ear lacerations that required stitches, a concussion, and scarring. The passenger was also injured but settled her claims with the defendant for an undisclosed amount. The plaintiff alleges that the car driver was negligent per se by failing to maintain a reasonable lookout and for stopping on a roadway without reason or emergency. Defendant claims that the motorcyclist was driving at an unsafe speed and that he was under the influence of alcohol at the time of the crash. The Collin County jury finds the defendant 60% negligent and awards $619,348.07. 2012, Alabama: $2,000,000 Verdict. An elderly plaintiff is a resident of defendant’s nursing home and had a history of falling accidents. After one serious fall, the plaintiff receives a leg fracture. While recovering from the leg fracture, she sustains a gangrenous pressure sore that required hospitalization. At the hospital, the leg is amputated, but the plaintiff soon died from her injuries. The estate sues for malpractice and the Jefferson County jury awards $2,000,000. 2011, Baltimore, Maryland: $1.05 Million Verdict. Plaintiff was struck a by a truck that was driving on a road that prohibited the hazardous waste truck he was driving, causing a severe broken leg. Trucking company offered an insulting $25,000 to resolve the case. Our lawyers tried the case and got a million dollar verdict for a very deserving client. If you have broken your leg in a motor vehicle accident, we can help you get the compensation you deserve for this difficult injury. Call us at 800-553-8082 or get a free claim evaluation.